The digital endgame is a bit murky for many manufacturers and there’s no manual for all plants or factories. 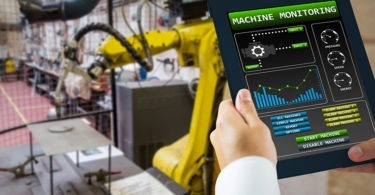 When starting a digital upgrade project, there’s a good deal of assets to identify in order to start connecting machines-to-machines or even to mid-level enterprise applications, such as a Manufacturing Execution System (MES). A recent tweet from Jim Cahill via Emerson’s Jonas Berge, below, connects readers to an article, titled, “Digital Transformation – What it Actually Means for a Plant.” This article provides a clear picture of how reliability and maintenance routines can change with digital technologies and touches upon digital sensors and cloud analytics. This post should be able to provide insights to help the maintenance team talk to upper management and colleagues about how IIoT payoffs. Bookmark the page.